IN PARADISE – Theirs is PEACE, PROSPERTY, And HAPPINESS. It’s not the life we live, but the courage we bring to it. In the recent months I have come to be a student, a practioner of Kundalini yoga. It fills me with the healing of my mind, body and spirit. To know always I have the power to choose how i react to every situation. I have talents that are gifts from God to heal and help me be happy find the balance in my everyday life to a being place of serenity. 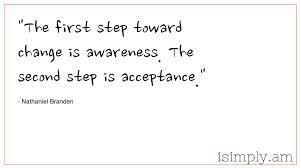 Yoga is not about self improvement, it’s about self acceptance. The eight human talents: Acceptance, Creativity, Commitment, Compassion, Truth, Intuition, Boundlessness and Radiance are those gifts that make human being different from every other animal on earth. “Talent will take you everywhere. There is nothing which talent cannot create. There is nowhere that talent cannot reach. It will give you every spot. It will give you every place. Talent is the vehicle of infinity, Which is yours in which you use your consciousness and intuition. 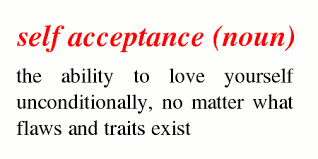 Self acceptance is simply need to reconnect with how wonderful and perfect you already are. Your birthright is happiness, you are born a spiritual being to have a human experience. If we can make one step towards happiness, towards healing, towards change, miracles begin to happen. If you’re feeling stuck in your life, developing a daily practice can be a huge catalyst towards growth and healing. Your practice doesn’t need to be yoga and meditation. It can be almost anything as long as it gives you the time and space to let go and reconnect with yourself each and everyday. See your body as Gods perfect gifts to you. We need them to be here. For it is in loving and appreciating our bodies that we begin the path to consciousness. Meditation is not about perfecting or attaining anything. People think they need to go into a trance or to be into an altered state to feel they’re really meditating. That can and does happen, but meditation is actually the clearinghouse of mind. Our minds release a thousand thoughts per wink of an eye. Just watch these thoughts you might watch an ocean wave, not remembering or diagnosing them as they come and go. The real gift is to sit in the middle of those thoughts, and react to not one. In meditating its not what you do, but the focus and depth you bring to it. Yoga is the science of breathe and angles. Yoga is similar to what keeps most animals fit. One only has to watch the stretching exercises’ that a cat does , and then see her magnificent body in action as she chases a bird, to understand that the systematic stretching and relaxation of our muscles can keep us fit for life. The translation of the word “yoga “is “union”. This union of breath and movement has as its ultimate goal the harmonious merging of body, mind and soul has into the universal energy surrounding us. 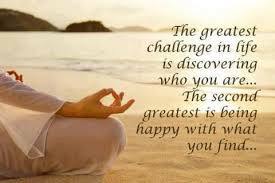 We refer to it as the “practice of yoga” and it is what we do in Kundalini yoga classes. But the real yoga is how you take what you’ve learned in class and live it out in the world. Is yoga hard? No, it’s difficult. Sometimes it’s physically hard or annoys a part of your brain that wants a fix it now solution. Kundalini yoga unlike a painkiller can be quite challenging, its purpose isn’t to mask our pain. It heals our pain. Realize there is not now or has there ever been a single person on this planet who has successfully avoided the part of being human. Pain is part of the deal. In fact, the enlightened beings who have graced this planet dealt with the pain of humanness, and it is usually the main point of their story. This is true with Jesus, Moses, Buddha Gandhi. Now since I accept pain as part of the human bargain, I am free to accept the serenity I believe in my natural state of being. God wants each of us to live in a place of serenity. Serenity which encompasses happiness and joy, also allows for pain and sorrow, because serenity is a state of being that accepts all of our states without judgment. Serenity is the state of being that exists when we are in balance, when we know our place in the universe, when we are truly able to accept Gods will for us. You begin to see pain, discomfort, and even simple annoyance, as those learning opportunities and blessings that they are. Sometimes struggles are exactly what we need in our life. If God allowed us through our life without any obstacles, it would cripple us. We would not be as strong as we could have been. The whole process of learning is really the process of uncovering and rediscovering what we already know. That is the process we will undergo together. Our bodies are the means by which we come to know and understand our spiritual connection to the Infinite.